For weeks I prayed and asked God that same question. Why does it have to be so hard? I got my answer one Sunday morning. When the priest began to speak after reading the gospel, I felt that he was talking directly to me. “I’ve been hearing the same question over and over lately. ‘Why is life so hard? Why is it so difficult to do good works?’ A chill ran through me. God had heard my cry. After that, when things got very hard I tried to make light of it by telling Mike, “I earned my place in heaven today.” He believed it, even when I didn’t. At first I couldn’t take the words of the priest to heart. I wanted a better answer. But, as things went on and the more I repeated the words, “I earned my place in heaven today,” the more at peace I felt. I was not alone. God was with me and by doing the hard work I was earning the grace to make it possible. Not easy. But easier. What I thought in moments of weakness and exhaustion to be impossible became possible. Being a caregiver is not a job that we can do alone. We need help from our community, our family and our friends and in the moments when all of them are too busy or too far away there is one who is always there. 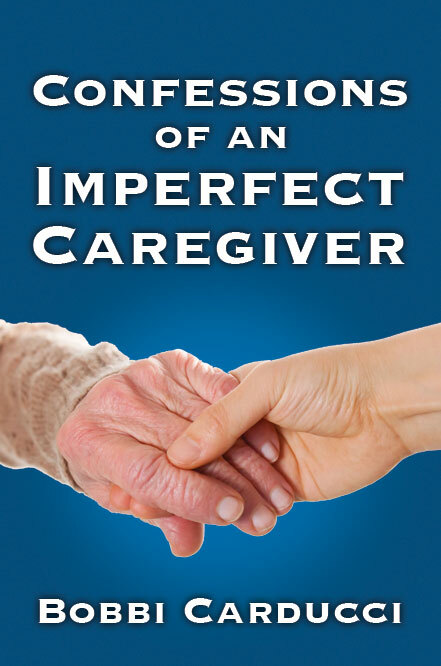 From the day I started writing this book it has been my intention to offer a discount to caregivers. By choosing this blog as the vehicle to manage the orders I hope to reach caregivers and the special people who support the caregivers. Thank you for all you do for others. Parkinson’s disease is a gradual, progressive, degenerative disorder of the central nervous system. It causes nerve cells in the brain to stop producing enough of the chemical dopamine, which is vital for regulating movement. Parkinson’s diseases causes tremors, muscle stiffness, slowed movement, impaired balance, and problems with standing, walking, and gait, and reduced facial expression. Other symptoms—called non-motor or dopamine non-responsive symptoms—may include cognitive impairment, trouble sleeping, mood disorders, constipation, problems with speech and swallowing, low blood pressure when standing, unexplained pain, drooling, and the loss of the sense of smell. Dystonia—an involuntary, prolonged muscle contraction—is also common with Parkinson’s disease. Sometimes associated with pain, like cramps, dystonia can involve an isolated area or the entire body. Caused by a lack of dopamine in the brain cells, dystonia is generally treated with L-dopa (levodopa), a medication that raises dopamine levels. Another symptom, dyskinesia, is “a difficulty or distortion in performing voluntary movements,” according to the Michael J. Fox Foundation for Parkinson’s Disease, This one, however, isn’t caused by the disease itself. It’s a side effect of long-term therapy with levodopa. Depression and other mental health issues are also common. Around a million people in the U.S. live with Parkinson’s disease, and about 5 million worldwide. One in 100 people over 60 get the disease, but people as young as 18 have been diagnosed. Men have a somewhat higher risk of getting the disease than women. Scientists don’t know what causes Parkinson’s disease, or why some people get it and others don’t. Over the last 10 years researchers have started to find evidence that genetics and environmental factors, either by themselves or combined, may be involved. Most scientists agree with this theory. There is no cure for Parkinson’s disease. But the research into better treatments—and eventually, a cure—is ongoing. The disease is, by itself, a hugely disruptive—even devastating—turn in the life of anyone diagnosed with it. The same goes for the caretaker. As Parkinson’s progresses, the caretaker must manage medications—many of which are taken on a careful schedule that can’t be disrupted without causing consequences—and at the same time, help the patient cope with the characteristic physical and mental symptoms of the disease. It can be, in a word, exhausting. Now, add progressive dementia into the mix. It strikes a minority of Parkinson’s patients, either in the form of Parkinson’s dementia or Lewy Body Dementia. “LBD” is the umbrella term for both, though their earliest symptoms differ. Generally, people whose dementia occurs within a year of their Parkinson’s diagnosis are also diagnosed with LBD. Lewy Body Dementia is named for the scientist Friedrich H. Lewy, who, in 1900, discovered these abnormal protein deposits (bodies) in the brain. They disrupt its normal functioning, including perception, thinking, and behavior. LBD strikes each person differently, and the symptoms can fluctuate from hour-to-hour and day-to-day. Symptoms may include impaired cognition, attention, and alertness; well-formed, detailed, recurring hallucinations; hallucinations of touch and hearing; visuospatial abnormalities; and loss of consciousness and falls. They may also include REM sleep behavior disorder (RBD), in which the patient may act out his dreams while sleeping. Caregivers for people with Parkinson’s disease and RBD should, first and foremost, take care of themselves, both physically and mentally. It’s a huge task and responsibility. Don’t be afraid to ask for support from family, friends, and from your community. You can find a lot of information about both diseases, and where to get help, in the references below and by visiting Healthline. Leslie Vandever is a professional journalist and freelance writer with more than 25 years of experience. She lives in the foothills of Northern California. 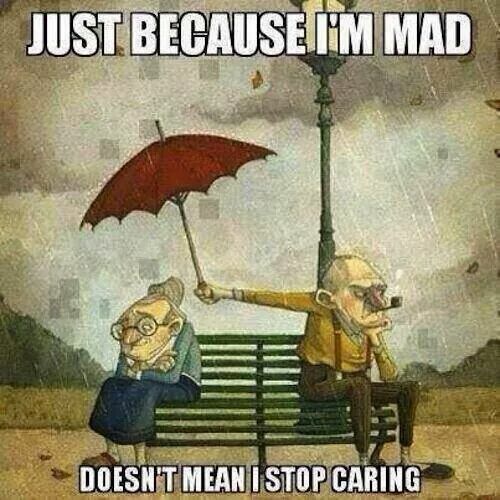 Or that I’m a bad person not fit to be a caregiver. When I felt angry and resentful for the first time it was devastating. Where was it coming from? Why was it coursing through me when the crisis had passed and things were getting better? “What’s wrong with me?” I cried and I prayed. The guilt that accompanied those feelings threatened to overwhelm me. I didn’t know if I could go on. If I should go on. I was ashamed of myself for being so weak. What I didn’t understand was that my feelings were normal. The anger was a passing storm sweeping away debris that had been piling up inside me. It was a way to release the stress and worry that comes with being a caregiver. I loved Rodger very much, even when it wasn’t easy to do so, and he felt the same way about me. What mattered in the end was not the passing storms but the love that inspired the commitment I made to care for him and the trust he had that I would be there when he needed me. Caregiver be kind to yourself. Don’t judge yourself harshly or second guess the decisions you make. Every day you do the best you can and no one can ask for more, not even you. 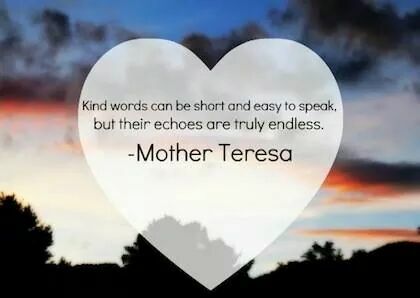 Mornings, as you prepare to care for loved one, remember these words by Mother Teresa and know you are not alone.